Good morning, friends! The kids are asleep after what was a very hectic weekend and truth be told, I wish I could be also. But since I'm a growm-up (as my two year old says), I'm up and ready to start a very hectic week. Linking up today with Erika and Andrea for their monthly favourite things party about accessories. I love a good accessory. It's my favourite way to spruce up an outfit and make myself feel instantly more put together. When I was in the corporate world, chunky and statement pieces would be my way to really dress up but now, I tend to go on the smaller side--- at least for everyday life. Here are just a few of my faves. My initial Kate Spade necklace is one of my everyday pieces. I use it by itself or with other longer necklaces. And on sale today too! My Rayne necklace is one of my faves and I wish I could have it in another colour too but simply can't justify the purchase. I chose this colour as I wanted an all season sort of wear. 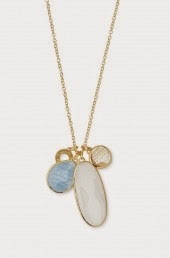 When I want something lighter for everyday use, my Stella and Dot trinity necklace is another way to go. 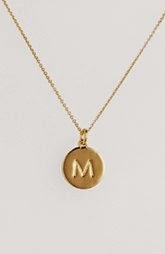 I use my initial necklace sometimes with it as well sometimes although this comes with it's own delicate smaller chain. 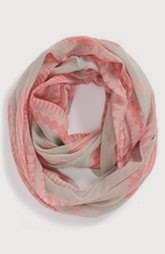 Cloth infinity scarfs all through the year for the patterns and the lightness but the warmth. 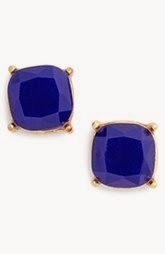 These BP earrings come in a multitude of colours at a fraction of the KS stud prices. 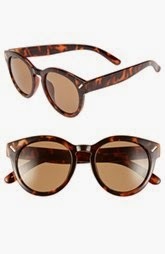 And finally, as I lose sunglasses like it's my job, the cheaper the better so these BP ones are on the list for sure. + Not too matchy matchy, earrings, necklace and bracelets don't have to be the exact same type of stone, metal or type. I don't even match two of the same usually but make sure they 'go' together. + Kind of confusing but not too unmatched either- prints, colours etc. + Love stacks and layering jewelry but they need to be done properly! + In the words of the lovely Coco Chanel, take one thing away. I very rarely do a huge necklace AND earrings or necklace AND bracelet. Happy Monday! Now back to bed…. haha, if only!!! The initial KS necklace is one of my favorites. I need to get my hands on one soon!! 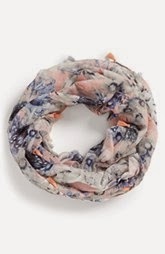 I'm all about infinity scarves all year round!!! Your girls are precious! I love your initial necklace! So excited it's on sale! I must check it out! I love that Kate Spade necklace. I actually added it to my own wish list a few months ago. And those BP earrings are my favorite. I have them in the light blue and coral and I'm excited that they've ordered more colors. Such a steal! I love that Rayne necklace!! You have beautiful taste in jewelry! I want all those necklaces! So pretty! 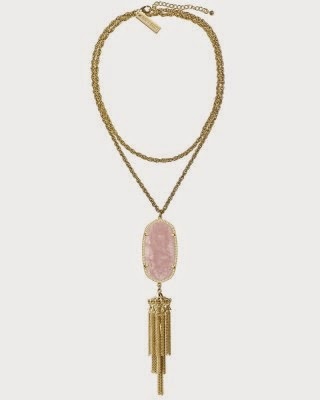 I love love love the dainty charm necklace. So chic! That initial necklace is darling and I love the scarves!